A Year of Being Here: Carol Coffee Reposa: "Vegetable Love in Texas"
Firm like a vow, the hope of rain. "Vegetable Love in Texas" by Carol Coffee Reposa, from Texas Poetry Calendar: 2008. © Dos Gatos Press, 2008. 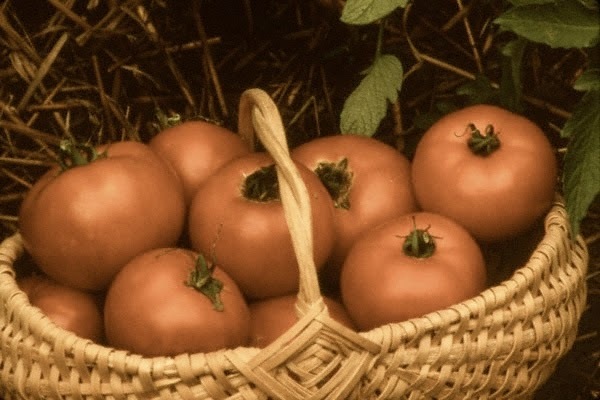 Art credit: "Tomatoes in Basket," photograph by Diane Pratt (originally color).